In a recent Miami Herald piece, Ugo Colombo explains why the designs of his projects are all about the details. Architect Luis Revuelta, who has worked with Ugo Colombo and CMC Group for 25 years says Ugo Colombo “…insisted on importing Venetian stucco, Italian kitchen fixtures and Azurelite glass,” for the famous Bristol Tower that was built in 1993. Ugo Colombo is continue his hands-approach – and attention to detail – in his latest project, Brickell Flatiron. “’In order to really pay attention to what I’m doing, I need to work out a floor plan and personally look at what side each door swings and be happy with the column placement and how the whole building flows and functions,’” says Ugo. This entry was posted in News and tagged Brickell Flatiron, Grovenor House, Miami Herald, The Collection, Ugo Colombo on July 29, 2015 by Ugo Colombo. Explore Ugo Colombo’s Brickell Flatiron Online! 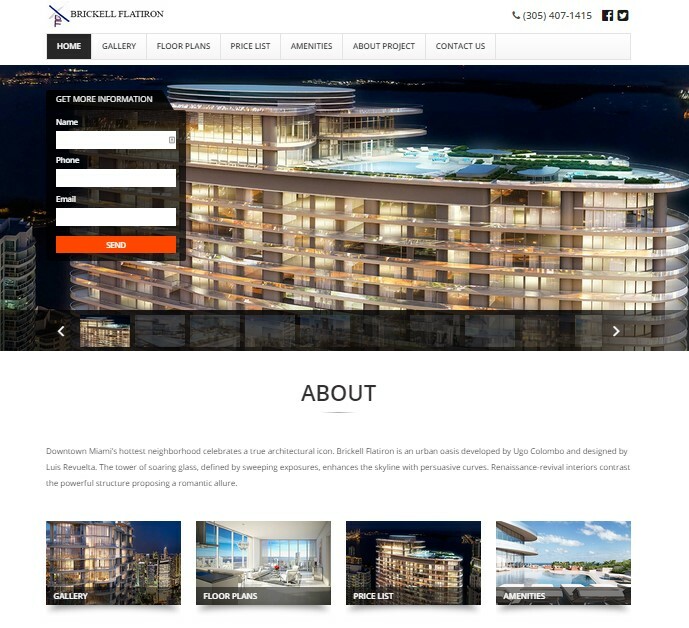 Now you can explore all the beauty of Brickell Flatiron on the official Brickell Flatiron website. The extensive website includes a photo and video gallery, floor plans, information about various Brickell Flatiron amenities, a price list, and much more. Learn more about Brickell Flatiron on the Brickell Flatiron website today! This entry was posted in News and tagged Brickell Flatiron, Brickell Flatiron website, Luis Revuelta, Ugo Colombo on July 21, 2015 by Ugo Colombo. The National YoungArts Foundation – and its corporate partner Brickell Flatiron – recently held a panel that discussed the importance and influence of art across various industries. Featured panelists included luxury Developer Ugo Colombo, Philanthropist Sarah Arison, Managing Director with Deutsche Asset & Wealth Management, Oti Roberts, and Senior FIU Fellow Cathy Leff. The discussion was moderated by art aficionado Kathryn Mikesell. Ugo Colombo’s CMC Real Estate is developing Brickell Flatiron, at 1001 South Miami Avenue. Ugo Colombo filed a declaration of condominium for the project in November and CMC bought the property in October 2013. Brickell Flatiron will have 552 units and the building will include 40,000-sq ft of retail space, featuring restaurants, shopping, and a modern lobby, all designed by renowned artist, Julian Schnabel. 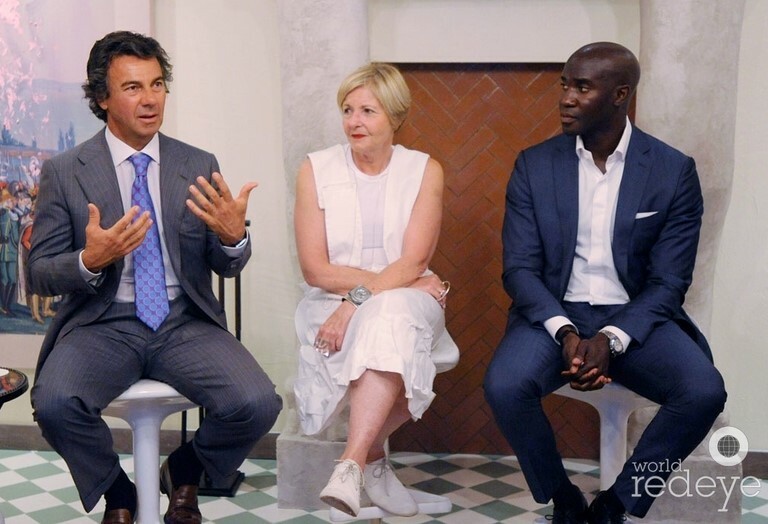 This entry was posted in News and tagged Brickell Flatiron, National YoungArts Foundation, panel discussion, Ugo Colombo on July 10, 2015 by Ugo Colombo.